The owner of this home in Woking, Surrey decided to replace their timber front door. 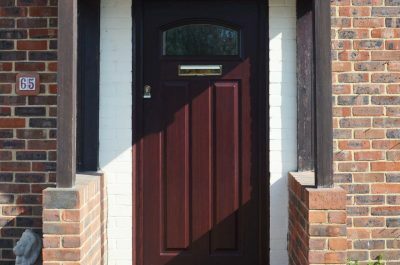 We’re regularly replacing old timber doors – they age just like anything else. Unfortunately, when they do age, they become ineffective. 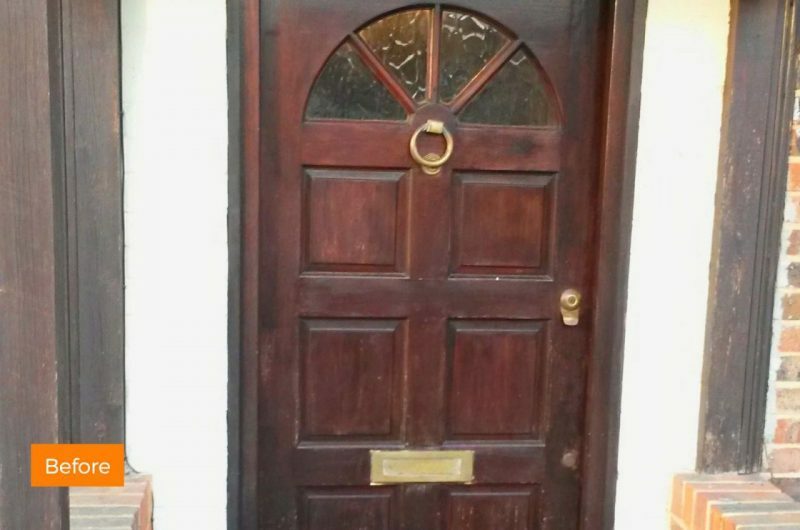 Our customer’s old timber door had formed many cracks and was failing to retain much heat. 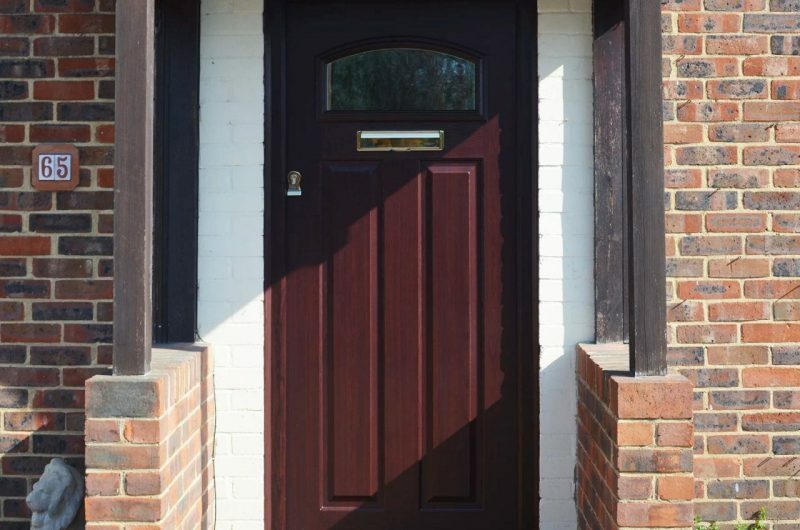 Our customer knew that their door had passed its expiry date and it was important that we worked with them to pick a new entrance door which suited their home’s character and their personal taste. 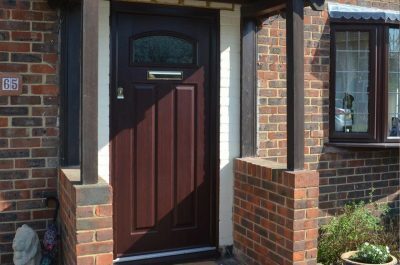 After we went through their options with them, they opted for a beautiful Rosewood London Solidor from the Traditional Collection. They decided to add taffeta glass, a gold letter plate and gold finger pull rather than a door handle. 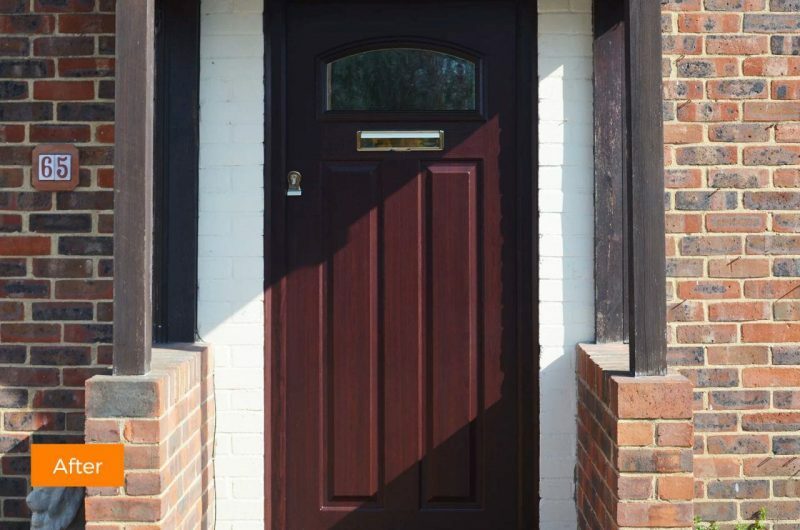 Although the exterior offers a Rosewood finish, the door’s interior is white to match the rest of the house. The timeless beauty of this front door is down to its most distinctive feature – the arched glass panel! Our client chose Sheerwater Glass to fit their door because we replaced all of the glass in their windows last year, which they’d been incredibly happy with. Solidor could be for you! 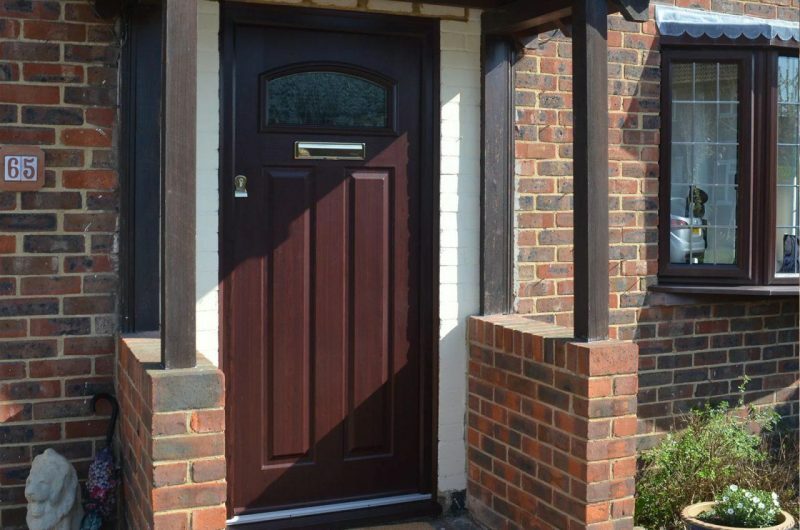 If you like the look of our customer’s Rosewood London Solidor, then there’s much more where that came from. We would love to have a chat with you – we’re available by telephone on 01932 344 415, and via email: info@sheerwaterglass.co.uk. Failing that, drop in and see us at our HQ. 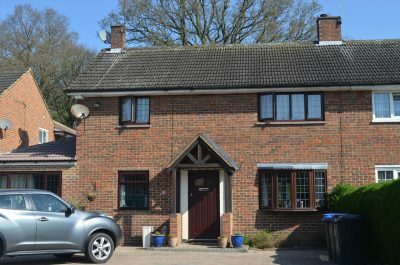 We’re located in Dartmouth Avenue, Woking.